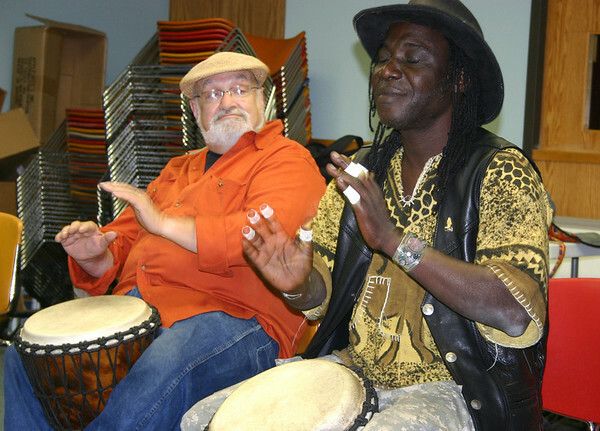 Gloucester: Mamadou Diop, drummer and guitarrist from Senegal, along with Don Goldman, left, performes at his drumming workshop for teens at the Sawyer Free Library on Saturday afteroon. The event will be also helds this Saturday at 1pm. Events are free for public, paid for by Gloucester Cultural Council.